Yamaha is a leading manufacturer of high-quality musical instruments. The company takes special care while manufacturing all kinds of stringed instruments, including digital pianos. 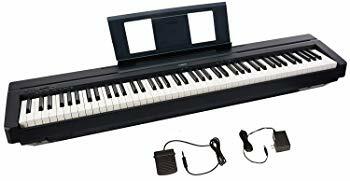 In fact, all Yamaha digital pianos are built differently from one and other since every piece has a different purpose to serve in terms of music skills and budget. It directly means that the company comes up with new digital pianos every now and then. As a result, it gets quite difficult to figure out which digital piano is the best. This is why, we have come up with a list of features that should be considered while buying a Yamaha digital piano. Our Best Rated Yamaha Digital Piano Reviewed. Choosing a Yamaha digital piano should actually be easier because you can put your trust in the quality of the instruments that Yamaha manufactures. Moving on, keeping in mind that different pianists have different needs, we have made a list of 5 best Yamaha digital pianos that you must check before closing in the deal on any other piano. This digital piano by Yamaha features 76 keys that can be switched between default piano setting and stereo effects. It features 500 preloaded voices and 30 preset sounds. This instrument has a keyboard compatible with external power adaptor as well as AA batteries. It weighs just 26 pounds and has USB Midi connectors for connecting the piano with external devices like computers and various other musical instruments. With a 3.6 inches display screen and 160 preset styles, this Yamaha digital piano also incorporates Y.E.S tools. Additionally, you can operate this piano in dual mode as well as split mode. The Yamaha YPG-235 digital piano can record up to 6 songs and the Y.E.S tool has a pause option. This instrument, with 32 notes of polyphony and ebony and ivory keys, can produce 9 reverb effects and 4 types of chorus effects. It also features 5 equalizer types. Lastly, it has a headphone jack that allows a chance to practice in solace, without disturbing others. As long as you’re a beginner, you will not have any issue with this digital Yamaha piano. Moreover, it incorporates a wonderful feature that lets you break every song into multiple parts and notes. This helps in learning how to analyze and play individual notes. However, the response rate while switching between recorded songs is too slow. Other than this, this is one blissful instrument for young pianists. This Yamaha digital piano has 88 ivory and ebony feel graded-hammer action keys, perfect for beginners and intermediates. It has 128 notes of polyphony and a complete rosewood finish that gives this instrument a stunning finish like that of high-end pianos. It produces true stereo effects since it can record the music generated from the right hand and left hand separately, but simultaneously. And 2 tracks/record give true stereo feel. Additionally, this piano has 10 preloaded voices and can record and store up to 3 songs. It also features a high-quality LED display screen and USB Midi connectors that can connect the piano with external instruments, computers, and laptops. This instrument weighs 149 pounds and has 16 cm stereo speakers. It can be played in split mode as well as dual mode. Also, the keyboard of this Yamaha digital piano can be played in three settings, soft, medium, and hard. Lastly, it has an auto switch-off feature and an onboard damper pedal for greater sustain. Other than a few minor glitches like lack of a manual or a fragile key cover, this Yamaha digital piano is worth every penny spent. It has a unique stereo optimizing feature that allows the pianists to separate individual notes from each other. As a result, the sound produced is extremely rich and continuous. So, as long as you can afford frequent maintenance charges, this Yamaha digital piano will be your longtime companion. 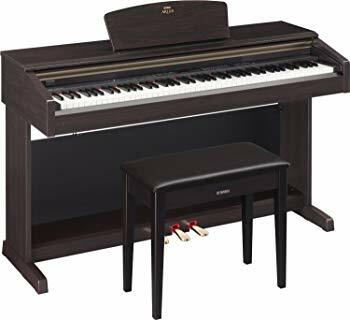 With a CF sound system and 88 graded hammer-action keys, this Yamaha digital piano is capable of producing heavy sound at low ends and much lighter sound at high ends. It has a ‘Digital Controller’ feature that lets the piano serve the purpose of a controller for Apple devices including laptops and iPads. 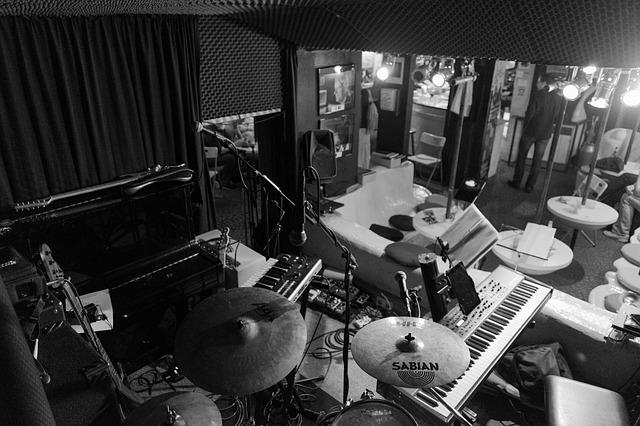 With 2 7W internal amplifiers and ¼-inch auxiliary output jacks, this digital piano can be used for studio recordings as well as live stage shows. This instrument has 192 notes of polyphony and 2 headphone jacks. It also has 3 pedal inputs and Midi sound connectivity. Moving on, this digital Yamaha piano has 50 preloaded songs and 10 preloaded voices including those with drums and strings. Also, this piano weighs 37.7 pounds and is compatible with Yamaha LP5A and Yamaha L85. Lastly, it can be used in split mode as well as dual mode. The Yamaha P115 digital piano is a true grand piano that produces sound as rich as that by acoustic pianos and has as many features as that incorporated in high-end electric pianos. Moreover, this piano is not as heavily priced as various high-end pianos, making it a blissful learning gadget with sweat resistant weighted keys. However, we suggest you ensure that your hands acquaint with all the 88 keys of this full-sized pianos before buying it. Yamaha P45 digital piano features a full-length graded hammer action keyboard with 88 weighted keys for proper playability. This piano is incorporated with ‘Advanced Wave Memory’ in order to generate a true stereo sound. Also, it has 2 onboard mics that can record the sound from the left-hand and the right-hand separately. Moreover, with 64 notes of polyphony, this digital piano has 10 preset voices and 1 headphone jack with Midi connectivity. It also has an onboard 12W stereo speaker system and it can produce 4 reverb effects. Furthermore, the Yamaha P45 digital piano can operate in split mode and dual mode and is perfect for chorus as well as solo performances. Lastly, this instrument weighs 36.4 pounds and has a sustain footswitch that makes switching between different music styles and notes quick and simple. P45 Yamaha digital piano produces a true stereo sound effect and can be used for on-stage performances since the onboard stereo speakers are of high-quality and can produce a loud sound. However, since the keys of this piano can misbehave at a higher pitch, it can only be petted to perfection by absolute pros. Moreover, its unique features can be hard and too complex for beginners. P255 Yamaha digital piano has 256 notes of polyphony and perfectly weighted 88 keys with a synthetic ivory coating, increasing the playability. It also has a 2.5-inch LED touch screen and 2 inbuilt 6W speakers. With 10 preset voices and 25 pre-recorded songs, this piano is capable of supporting complex music styles in split mode as well as dual mode. It also features a graded hammer action keyboard where the lower ivory keys are heavier than the black keys. Furthermore, this instrument has 3 equalizing sliders that correspond to, adjust, and balance the sound produced in all three frequency ranges, low, mid, and high. This Yamaha digital piano weighs 51.9 pounds and has 2 stereo-quality headphone jacks alongside USB Midi connectors and 2 pedal inputs. Lastly, it has a 2-track sequencer and a sound boost button. The P 255 Yamaha digital piano is a high-quality professional instrument that is equally useful for finger practicing since the keys are non-slippery. However, at times, customers do complain about the poor quality of the internal sound system, but the problem can be completely ridiculed by using high-quality headphones. All in all, this piano is one of the best deals for intermediates and professionals. Yamaha digital pianos are best known for the quality of music that they create. These are actually some of the best-sounding instruments that can recreate music close enough to that by true acoustic grand pianos. Also, Yamaha never fails to come up with digital pianos suitable for every individual. Only if you know what features are of maximum value that you’ll be able to find a Yamaha digital piano that’ll fit your needs. 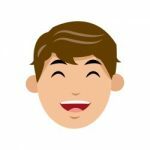 Just to narrow down your search further, we have made a list of features that should have your attention while buying a Yamaha digital piano. 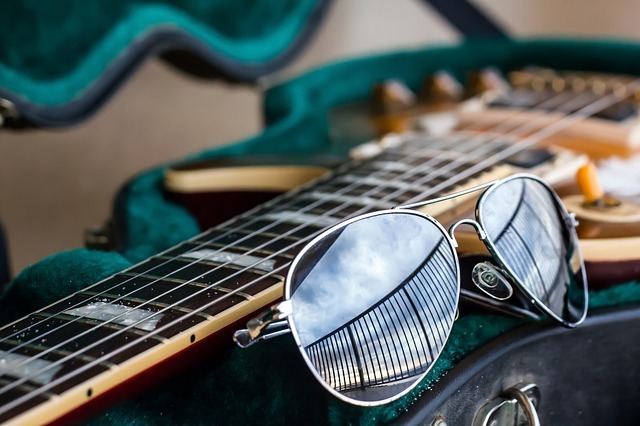 Tonewood Quality – You must know that different tonewoods produce different kinds of music. Whilst some produce warm tones, the others might create punchy and bright tones. Thus, you must focus on the quality and type of tonewood that’s used to make the body of a Yamaha digital piano. 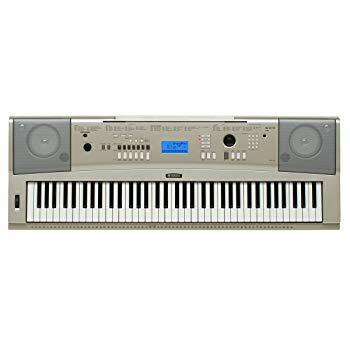 Number of Keys – High-quality Yamaha digital pianos have a full-length keyboard with 88 keys. However, such pianos might be out of reach for the people with small hands, and also for beginners. Thus, you should focus on pianos with lesser number of keys if you’re just a beginner. Weighted Keys – Plastic keys with a rubbery and light feel aren’t usually a good option to learn finger practicing. Thus, you must focus on buying a Yamaha digital piano with weighted keys. In fact, it is best to look for hammer-action or graded-action weighted keys. Music Skills – Since Yamaha digital pianos can have very advanced features, suitable only for professionals, you should be extra careful while buying one. Not only that digital pianos with complex features are less playable for beginners, but they also cost a fortune. Thence, buy what you can understand and afford. These are the few features that we suggest you should always keep in view while buying a Yamaha digital piano. Furthermore, we have also compiled in a list 5 best Yamaha digital pianos that we believe will not disappoint you. 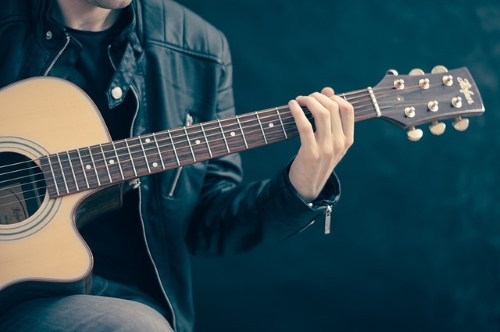 As a professional, you must be aware of the fact that there’s no instrument that can beat the quality of the music produced by acoustic instruments. However, this does not end the market for digital pianos. With such requirements, Yamaha has indeed come up with digital pianos that can create reverb effects quite close to that by acoustic pianos. You can always find a digital companion with excellent features. In fact, Yamaha manufactures digital pianos for all music entry levels. All in all, as long as you’ll stick to the basic rules, you’ll be able to find a Yamaha digital piano that’ll have stunning features at a price much lower than that of acoustic pianos.